A bullied little chicken discovers his inner strength along with some surprising dinosaur ancestry in this farmyard tale with huge heart. 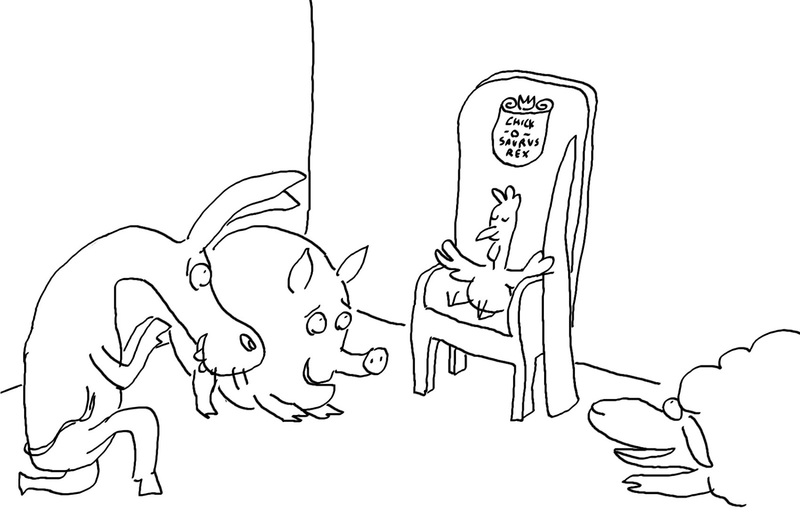 Little Chick just wants to belong, but the bullies of the barnyard—Little Donkey, Little Pig, and Little Sheep—won’t let him play in their tree house because he is a chicken, and chickens are not strong and brave. 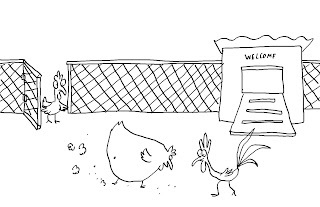 Little Chick sees their point: What have chickens done besides invent the chicken dance and cross the road? 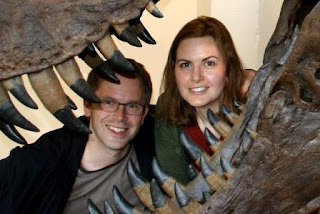 But when his father shows Little Chick the family photo album, he learns something HUGE: He is related to the gigantic and ferocious Tyrannosaurus rex! Armed with this new knowledge, Little Chick returns to the tree house just in time to rescue the bullies from a scary wolf—and prove that strength and bravery have nothing to do with size. Daniel Jennewein is the illustrator of several picture books for children, including Is Your Buffalo Ready for Kindergarten? His wife, Lenore, writes novels for teens, including Level 2, under the name Lenore Appelhans. They live in Frankfurt, Germany with three feline bullies. Daniel's ancestors are German and Austrian while Lenore's are Irish, English, and German Russian. Neither is related to the Tyrannasaurus Rex. Visit Daniel at danieljennewein.com and Lenore at presentinglenore.blogspot.com. “What is the closest living relative to the T-Rex?” - a question the daughter of a family friend asked Daniel after coming home from school one day. The answer? The chicken. When I heard this fact, I could totally envision it as a picture book, and “Chick-O-Saurus Rex” was born. First we brainstormed storylines, trying many different angles and even storyboarding a few before hitting upon the idea of the bullies and their exclusive treehouse club. Daniel then went to the drawing board to create rough character sketches of our main characters – Little Chick, the bullies, Little Chick’s parents and the hungry wolf. 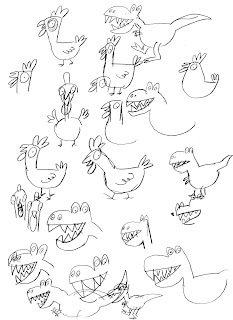 Here is are early sketches of Little Chick and some T-Rex. For most picture book writers, this phase would come earlier, but since I work directly with the illustrator, we plot using storyboards. Then I know what I need to say in the text to tell the story and what I can leave to the illustrations. Once we sold the book to Simon & Schuster, it was time to revise for publication. 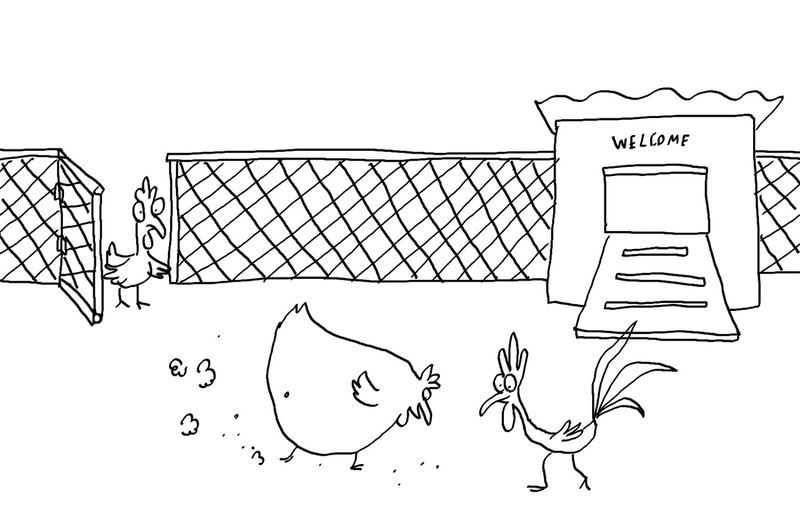 For example, in the dummy (mock-up of sketches and text in book form) we submitted, we have the bullies begging for Little Chick’s forgiveness. Although this is certainly a hilarious image, we decided it would be more positive to celebrate Little Chick’s bravery rather than dwell on the bullies’ cowardice. When all story elements and text were in place, Daniel began the process of producing final artwork. He drew everything by hand with a brush-tip pen and then scanned them in for digital coloring. 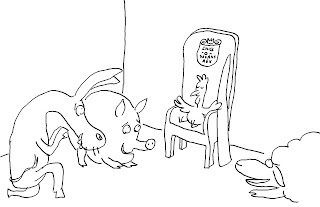 A delightful tale of a chicken searching for a mighty and brave ancestor who inspires him to his own mighty and brave act. 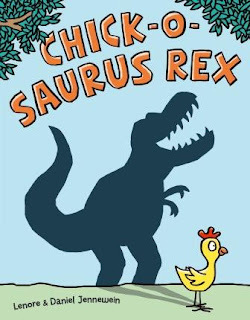 With deceptively simple illustrations and plenty of heart Chick-o-saurus Rex leads the reader on a thought-provoking journey of their own. Even the smallest creature can perform acts of bravery. 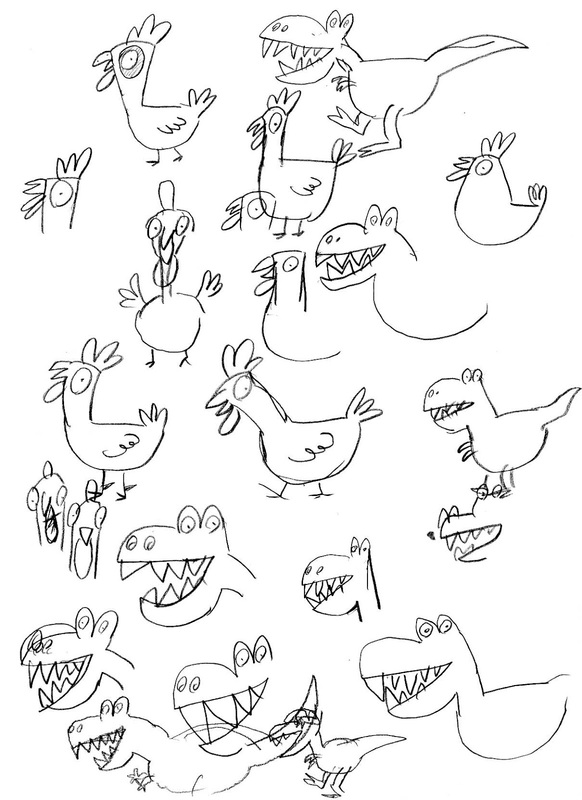 I loved the fact that the relationship between the Tyrannasaurus Rex and chickens is real! How awesome is that. 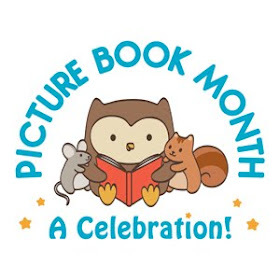 A picture book based on fact with a strong dose of fairy tale and a strong theme makes for a great read-a-loud and a book that I can heartily recommend for sharing.